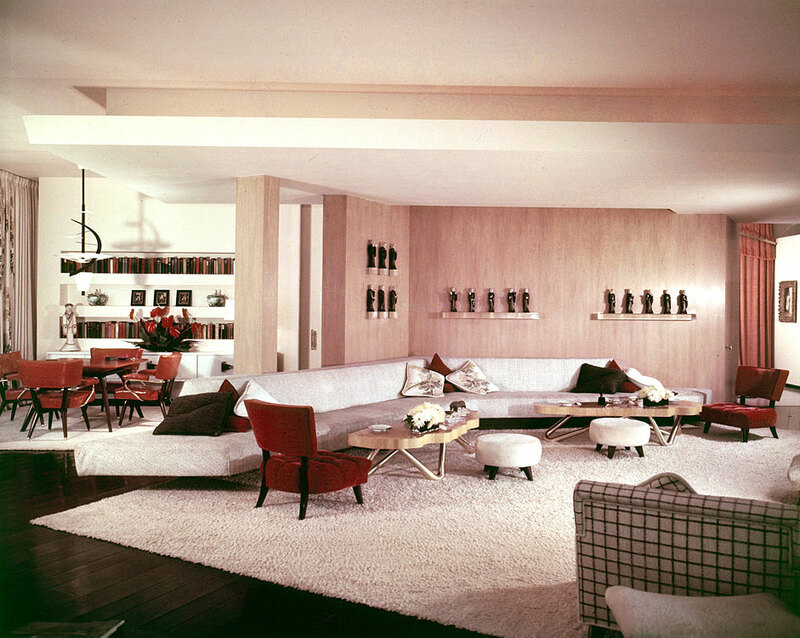 The Pluto Pendant Lamp was originally made in 1950 for the Brody House in Los Angeles. 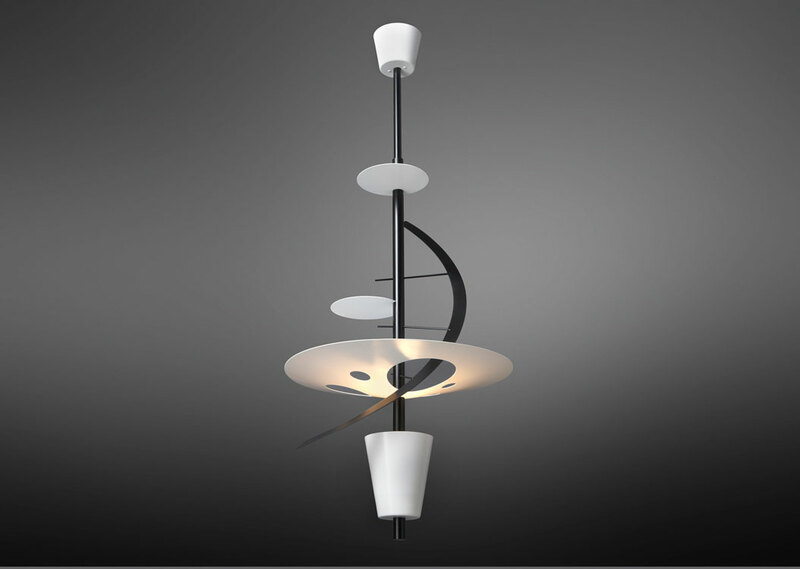 It is an extraordinary original design made of white and black metal, with cascading levels of light. The pendant lighting fixture is approximately 5 feet high and 24 inches in diameter, and is available in custom heights for specific locations.